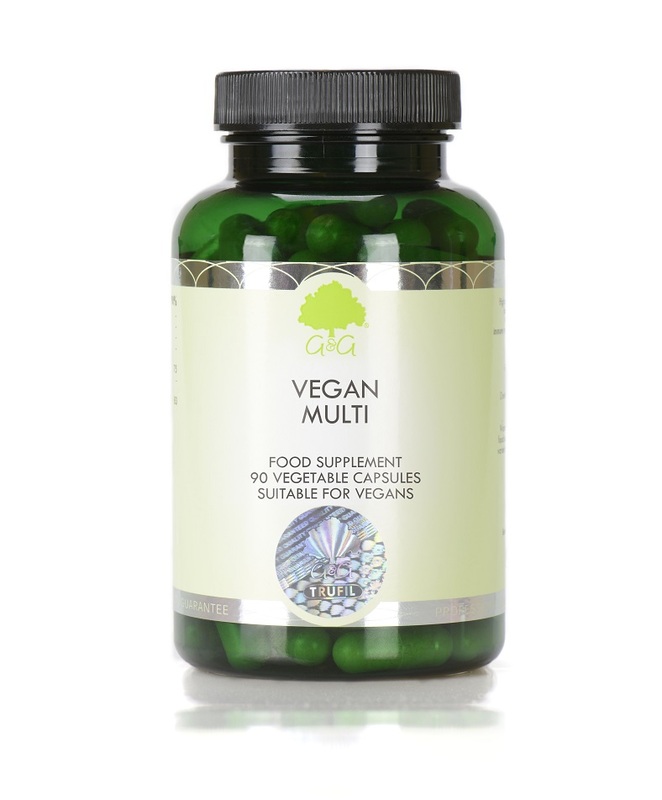 Vegan Multi is a specialist vegan multivitamin blend. The blend of vitamins, minerals and plant nutrients are designed to supplement a vegan diet. Vegan Mutli includes a host of nutrients that are outlined by the Vegan Society as typically lacking from a vegan diet. Vitamin B12 is the most common nutrient that can be lacking from a vegan diet. This is due to the fact that vitamin B12 can only be found in nature from animal sources, which makes it important to monitor for deficiency. Iodine is an essential mineral that is often found in sea foods. While iodine can also be found in many vegetable sources, it is still important to monitor for deficiency. Calcium and iron are minerals that can be found in plant life, but there are questions about its bioavalibility. WHAT DOES VEGAN MULTI DO? If you are taking anti-coagulants (blood thinners) do not take this product except on the advice of a doctor. Long-term intake of this amount of vitamin B6 may lead to mild tingling and numbness.